The projects and events listed below provide an opportunity for Master Gardeners and interns to learn about various aspects of gardening in Middle Tennessee, to give back to the our community and to make ongoing connections with others who love gardening. Both are supported by WCMGs and your volunteer hours may be counted towards WCMG annual certification credits. Interns are encouraged to try as many projects and events as practical. WCMG projects are ongoing throughout the year. Beneficiary: The harvest is shared with the WCMG volunteers who maintain the garden and with SCAN*. Visitors to Fiddlers Grove** and the Wilson County Fair may enjoy an esthetically pleasing garden. Date: April through October. Regularly scheduled workdays include Tuesday mornings & Thursday evenings with some Saturdays as needed during the planting & growing season. Brief description: We provide Master Gardeners with a place to learn and hone their skills, mentor interns in UT Extension gardening practices, as well as provide a showcase garden to Fiddlers Grove and Wilson County Fair visitors. We prepare the soil, plan the garden plots, plant, water, fertilize, weed, harvest, have fun, take pride in a great project, then put the project to bed at the end of the season. Choose to adopt a plot of your own in the garden or participate in scheduled workdays. 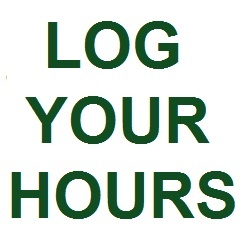 Date: Workdays and times are communicated via email and the WCMG website. Brief description: The Community Garden at Charlie Daniels Park is a true working garden with raised beds and a regular row garden. Located in Charlie Daniels Park, it is a wonderful advertisement for the Master Gardener program. Jan Littrell is the main chairperson however there are several co-chairpersons. Work in this Garden begins when Mother Nature allows the soil to be worked and stops when Mother Nature says it is time to rest. The garden not only grows vegetables, it also grows friendships that are priceless. The blessings that you will receive from giving a senior citizen a fresh tomato, cucumber or pepper will leave a lasting mark on your heart. So, really, the workers of the Labor of Love Garden are really it’s largest benefactors. 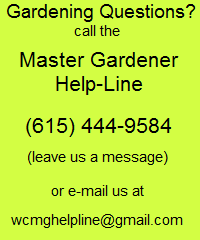 Brief description: Volunteers work with experienced WCMG’s to research and respond to calls, drop-in visits and emails regarding horticultural related questions and problems. Also, volunteers work events (Ask A Master Gardener) to make personal contact with the public and assist the Extension agents with research, etc. Beneficiary: Any visitors to Cedars of Lebanon State Park. This includes field trips for local schoolchildren and campers at the campground. Date: Second Friday and fourth Monday of each month. Brief description: This garden is located behind the Nature Center in the park. It was planted with plants, trees and shrubs that attract and support butterflies. 2018 will be a year of transition for the garden. The construction of a new restroom in 2017 at the Nature Center means we have some replanting to do in the construction area. New walking and wheelchair paths to be built in 2018 will require moving some plants. Brief description: The Demonstration Flower Beds at the James E. Ward Agricultural Center is considered the classroom for the Wilson County Master Gardeners and Interns. We are fortunate to have everything from learning how to grow vegetables, flowers and trees in one place. In partnership with the Wilson County Fair and Fiddlers Grove we are able to not only maintain, but create beds that are educational for not only ourselves, but for the public. We are able to show what grows in full shade, dapple shade and of course full sun. There are a wide range of plants installed throughout the grounds that include today’s varieties and heirloom varieties. No mater what your passion, we probably have a bed that would be of interest to you! Brief description: WCMG’s with an interest in trees provide care and maintenance of the trees (mulching, trimming, identification and treatment for pests & diseases) in the Baddour Parkway Arboretum. Typical workdays are Tuesday mornings & Thursday evenings with some Saturdays. 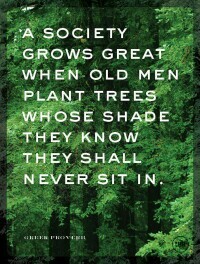 Choose to participate in workdays or become a Tree Steward. Other BPA activities include: Free classes for the public and Master Gardeners (see CE*** credit below) in topics such as Pruning Class, Beginning Tree Identification, Winter Tree Identification, and other classes/speakers as requested. Participation in programs such as Notable Trees of Wilson County, Trees Across Tennessee (250k trees planted), and Arboretum Research. Pioneer Days is an annual event for fourth graders of Wilson County at which Arboretum volunteers provide a “tree class” for the students. Date: Workdays and times communicated via email and the WCMG website. Brief description: WCMG volunteers maintain perennial and shrub beds at the main entrance and 3 smaller gardens in the back. The gardens are designed to attract butterflies and provide seeds for birds. Two workdays are scheduled in the Spring to add soil amendments, clean up and mulch the beds. Once a week during the Summer we water and remove weeds. Brief description: Fresh bouquets of zinnias are delivered weekly to the Sheriff’s office for delivery to SCAN recipients and to the Quality Center for in-patients. A group of master gardeners prepare the soil, plant zinnias, maintain the garden, harvest the flowers, and fill and deliver the vases. Events are short-term in duration ranging from one day to multiple days. Generally, sign up information is communicated prior to the event. Brief description: WCMG’s support fair activities throughout the Spring and Summer by planting and maintaining demonstration gardens, a number of flower beds and the trees in and around Fiddlers Grove**. WCMG volunteers staff the Demonstration Vegetable Garden during peak Fair times to welcome fair-goers and answer gardening questions. WCMG’s also provide assistance with various shows and competitions such as the Fruit & Vegetable Competition, the Flower Show, the Amateur Wine Show, the Honey Show, and many more. Brief description: For the 17th year, second-graders will learn about agricultural topics with over 100 volunteers contributing each day. WCMGs have supported this for many years. Exhibits include all types of farm animals to teach about production agriculture, a veterinarian on caring for farm animals, live bees with volunteers discussing pollination, sheep-sheering demonstrations and the process of seeds becoming different products. Sponsored by Wilson County Soil Conservation, Wilson County Farm Bureau Women and the University of Tennessee Agriculture Extension office. WCMG’s are among the many volunteers that make this event a success. Committee Members: Rosemary Marshall (Speakers), Judy Lea (Sponsors), Connie Greer (Volunteers), Carol Walenga (Logistics). Brief description: Fiddlers Grove has partnered with the WCMG to present “Spring Fest in the Grove”. This annual event is for those who love to garden, shop and learn. There will be plants for sale, artisans selling their wares, garden lectures throughout the event and some farm animals. The proceeds of the event go towards helping the Master Gardeners with their projects in Fiddlers Grove. WCMG Volunteers help with the planning, set up, plant sale, tear down and anything else needed the day of the event. A sample of participating artisans includes: WCMG, Friends of Fiber, Wood Carvers, Blacksmiths, Stiches in Time. Staffing the WCMG booth at the Batch & Bushel and the WB&T Southern Home & Garden Expo in February. Within one year of graduating the MG Training Program, completing and documenting a minimum of 40 volunteer hours and completing 8 CE hours, you receive the designation of “Certified Master Gardener Volunteer”. Learning programs are part of most monthly WCMG meetings. Your attendance at these programs is encouraged and may be entered as one CE hour per meeting. Maintaining your status as a “Certified Master Gardener Volunteer” requires a minimum of 25 hours of volunteer service and 8 hours of personal continued education (CE) each year.